To equip Individuals, Churches and Christian Groups to grow closer in their relationship with God and Christ through prayer, meditation, mindfulness and contemplative practices; recovery from stress, anxiety, depression, burnout, etc. 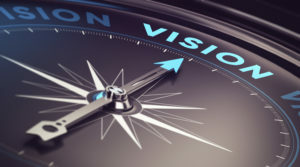 Development of greater personal resilience and renewal of the mind; overcoming negative thought patterns; establishing the mind of Christ within. Encouragement to take hold of personal calling in God through understanding self acceptance and our own uniqueness and value in Christ. 1. Individuals - To provide individual Christians with skills and resources to develop a Christian Mindfulness and meditation practice. 2. Churches - To provide denominations and churches with Christian Mindfulness Workshops, Retreats, Online Courses and Meditations (Bulk Access Discount available for the online course); training and access to the Full 9 week course material (through the purchase of Annual Licenses). I would like to see churches trained in the use of the material and then go on to teach the material in their own communities. 3. Counselling Centres - Provision of Day Workshops for CPD and individual benefit; Access to the Online course for both counsellors and clients. Bulk Access discount available. 4. Workshops and Online Course for those involved in Chaplaincy work - Hospitals, Schools, Prisons, Football Clubs, etc. 5. Disaster Emergency Intervention - The Online Course can be offered as part of a wider disaster emergency intervention package. Mindfulness can be beneficial in helping people process grief and trauma. The Christian Mindfulness online course is suitable for people with a Christian faith who are open to exploring meditative forms of prayer. This is viewed as a "low intensity" intervention that can help as part of a wider care package. 6. Theological Colleges - Provision of Workshops, Courses, Retreats and Online Course in Christian Mindfulness. 7. Missions - Provision of the Online Course to support and encourage missionaries worldwide. Encourage personal intimacy with God and recovery from stress, burnout, anxiety and depression. Support calls also available via Skype. 8. Schools - To provide schools with a specifically Christian option towards mindfulness that promotes personal and spiritual awareness among pupils, especially teenagers where levels of self-harm and depression are on the increase caused by various forms of bullying, stress and the pressures of school work. If you would like more information on any aspect of the work and ministry of Christian Mindfulness please contact Richard Johnston on 0131 463 2588 or info@christianmindfulness.co.uk. Richard & Vivienne Johnston are Missionary Associates of Globe UK. 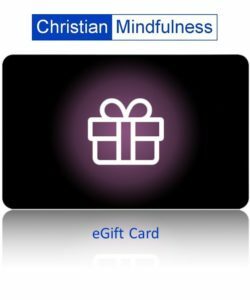 You are invited to support the ministry of Christian Mindfulness through regular monthly giving. Both Individual and Corporate support are invited to help further develop this exciting ministry.